Private detectives and investigators: The image that often comes to mind is that of the booze-drenched, chain-smoking, womanizing investigator prevalent in ’30s and ’40s detective novels by writers such as Raymond Chandler and Dashiell Hammett, a stereotype that has been portrayed through films like “The Long Goodbye,” “Chinatown” and many others over the years. In reality, the profession of private investigator (PI) can be a good deal as strange as these novels and films have made it out to be. From unveiling cheating lovers to being hired by a jilted song writer to find out why he wasn’t nominated for an Academy Award, the life of a private investigator can be strange indeed! In essence, private investigators are jacks of all trades: they may conduct surveillance, collect evidence, interview witnesses and search records. And, they take on a wide variety of cases of a personal, legal or financial nature, including those involving divorces, missing persons, computer crimes, theft and more! Apart from using a cell phone and computer, investigators may use tools such as GPS trackers, binoculars and video cameras. In certain cases, they may go undercover to get closer to suspects and obtain more information on a case. 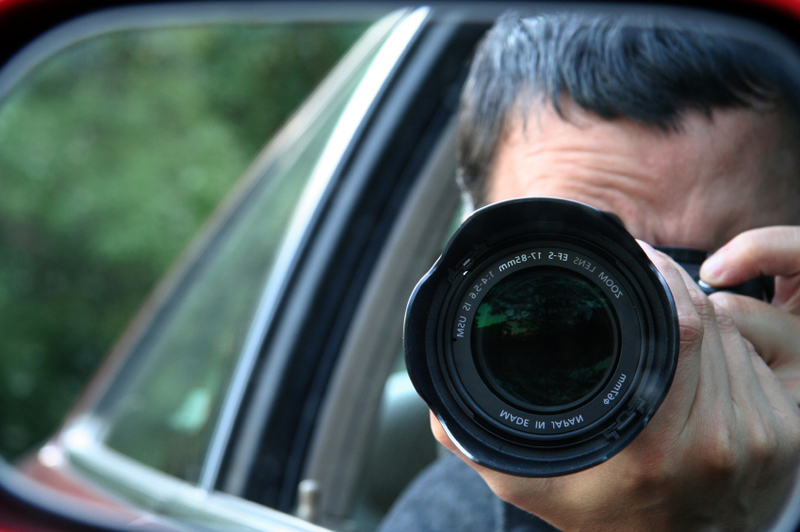 Private investigators face the possibility of distraught clientele and the potential for confrontation and drama. In addition, irregular hours, weather issues and potentially demanding situations can be par for the course. So, how about some semi-crazy to full-on crazy stories from the lives of private investigators? Here are a few for your enjoyment! According to CBS Los Angeles, private investigators in Orange County have found that Valentine’s Day is one of their busiest times of the year. While it’s true that many people are busy being romantic with their significant other, according to Orange Country private investigator Ali Ammar, those who are having affairs also buy gifts for those with whom they’re cheating! So, a little after February 14th, many jilted lovers make their way to Ammar wanting to check about suspicious credit card charges or wondering whether their husband was actually working late or slipping away to spend time with a significant other. According to Ammar, infidelity seems to happen more on Valentine’s Day than any other time of year and he’s there to catch the cheaters. Guardians of Rescue, a non-profit organization based in New York, is enlisting the help of private investigators to help them catch animal abusers. Dog fighting and other forms of animal abuse can be hard to prove, and PIs are helping uncover the evidence needed to bring charges against abusers. Fraud, drug dealing and other illegal endeavors often help form the basis for a case, as many abusers are involved in other forms of illicit activities. In many instances, criminals use animals chained up outside for protection while they go about their illegal acts inside. Private investigators catch photo and video evidence of these activities, giving them evidence to turn over to authorities. What’s the protocol? Guardians of Rescue first gives dog owners the opportunity to surrender their animals; if the owners aren’t willing to give up their dogs, the organization seeks to work with them by supplying a dog house, enclosed pen area and/or free vet services. A red flag is raised when someone isn’t willing to work with Guardians of Rescue; and it’s then that the group turns their attention to private investigators to help determine what’s going on in the lives of the animals and their owners. A Private Investigator for an Oscar Snub? Why not?! In January 2014, a public relations firm which had been paid to campaign on behalf of a song that was not nominated for an Oscar hired a private investigator to look into the eligibility of a rival tune. While this firm refuses to be named, they did say a PI was hired specifically to look into whether a song from the film “Alone Yet Not Alone” met the advertising requirements for nomination. While the nomination of this small, faith-based film (which featured music by Bruce Broughton, a former member of the Academy’s board of governors) raised an eyebrow or two, it was found that the song had met all the criteria for inclusion on the Oscar ballot. However, the song was later disqualified because the Academy determined that Broughton’s promotion of the song undermined the integrity of the voting process. But, it’s a strange case nonetheless.